HTC announced both the HTC 8X and HTC 8S today at its Windows Phone 8 event in New York. What was relatively unexpected by many was the inclusion of Beats Audio on both handsets. Beats Audio by Dr Dre (official website) has been coupled with an extra amplifier for audio out for large Beats headphones for a clearer sound. It's reported to be able to pump "higher treble, deeper base, greater clarity" into your ears. "Constantly monitors the speaker condition and adjusts to ensure the best sound quality possible"
While the 8S sports Beats Audio on-board, there's no extra amplifier - 8X only. Both HTC Windows Phones will have a pre-installed app that enables users to turn on / off functionality, and a notification is displayed when plugging in headphones that can take full advantage of Beats Audio. The company was previously rumoured to be bringing Beats to Windows Phone a year ago, it's positive to see HTC finally making the leap. But what are your thoughts? 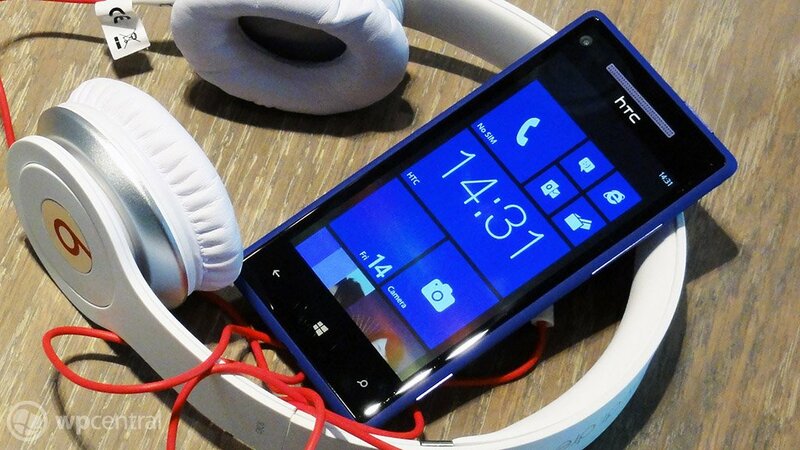 Do you believe Beats is a good feature for Windows Phone to share with Android? Let us know your thoughts in the comments.